Legacy Comics and Cards – Comics. Cards. Trading. Fun. 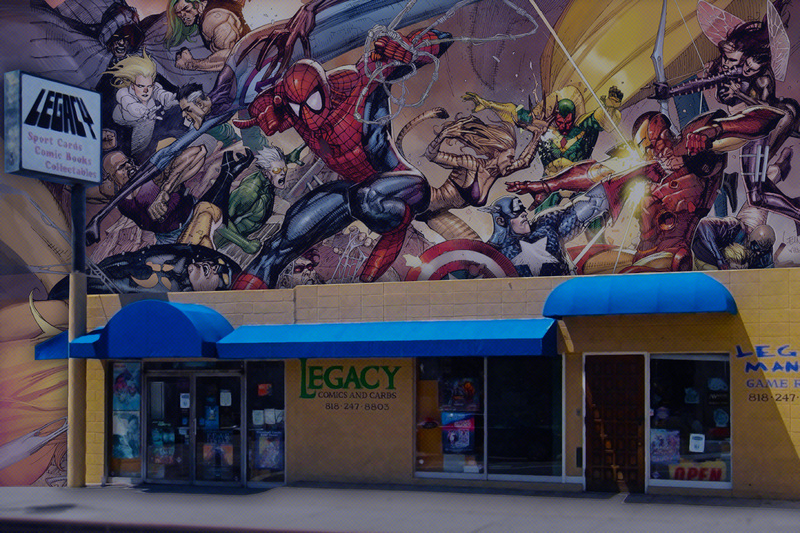 Legacy Comics and Cards is a comic book store located in Glendale, California. Established in 1990, we have a great selection of comic books, trading cards, and much more. With new comics arriving every Wednesday, excitement is just around the corner. Take a gander at our extensive collections, or bring in your own to have them appraised. Come visit our dedicated Manga and Yu-Gi-Oh! game room and join in on friendly battles. We have one of the largest selections of Silver / Golden Age comics in the area.